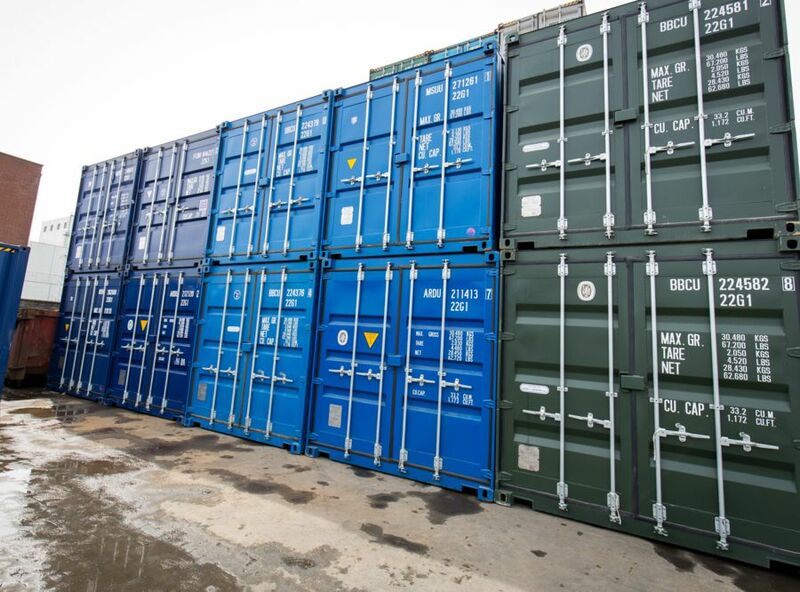 Although there are many different types of container they are all manufactured to the ‘International Standards Organisation' (ISO) specification in respect to their dimensions. Therefore, a 40’ made in Europe is the same as a 40’ made in China. There are many different types of container to transport the variety of cargos all over the world. Coffee, electrical, clothing, frozen food, timber, steel, cigarettes, fruit almost everything you use daily. Although some are made of aluminium and steel, they are now mostly made entirely of a special steel called "Corten’’ which is a rust prohibitive type of steel. A basic steel frame, fitted with 8 weight bearing corner casting fitted into the 8 corners, is filled in with corrugated steel panels which are between 1.5mm to 3.00 mm thick. At one end is a pair of almost full width and height doors. These are fitted with normally 4 locking bars which interlock with the frame top and bottom. Almost all containers have a 27mm thick wooden ply floor, which is supported on load bearing cross bearers approx. 12” apart, making the container capable of withstanding loads of 20 to 35 tons. Depending on size. They are designed to be fully waterproof including the doors which are fitted with full wrap around seals. The age of a used container can vary considerably but usually they are sold by shipping lines after 10 years of age. The anticipated length of usage as a storage container depends on its condition at point of sale, the careful use and regular maintenance, such as painting and servicing can provide many years of good waterproof service. Containers come in a wide variety of colours depending upon the livery of the original owner. The type of paint is usually chlorinated rubber or vinyl, both manufactured to resist sea water, sun and abrasion. Repainting a used container from the onset can only assist in lengthening its life and can often be achieved by your supplier fairly inexpensively to the colour you want. You should periodically service the moving parts of the door locking gear and check the secureness of the door seals to the door frames. A visual inspection of the exterior of the roof is also recommended, touching up small areas of corrosion in the early stages will prevent unexpected leaks. A container exposed to sunlight and cold can cause condensation, especially if the interior or if the contents of the interior are damp. Delivery is achieved by crane assisted vehicle and can be arranged by Rushfleet or yourself. Do make sure you have sufficient space to carry out the manoeuvre, vehicle sizes and capabilities do vary. Always fully discuss with your provider before commencement of delivery … It may save a lot of time and money for you.